You've finally convinced yourself that it is worth at least trying a senior dating site to see what it's all about. Now that you've gotten over the largest hurdle, there are a few tips to help you along the way so that you get the most out of whichever senior dating site you choose to use. 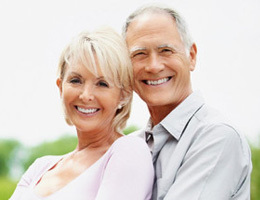 The following best practices will guide you in your quest for senior love so that you don't end up spinning your wheels or wasting your time. One of the most important things to remember when using best senior dating sites is that you can't base everything on what you see in the profile. A few sentences and a small photograph or two just aren't going to tell you everything you need to know about a person. This often leads to you creating your own picture of the person, which can make meeting him or her disappointing. Try to learn about the person through communication, and keep your expectations to a minimum until the two of you actually meet. If you're looking for a relationship, you don't want to end up with an email pen pal. While you will want to communicate initially through email, more than five between the two of you is plenty. If you are truly interested, you should try to move communication forward to chats, instant messages or phone calls after a few emails so that you can really start to learn more about the person in a more meaningful way. Another important part of using senior dating sites is that you actually speak to the person before you agree to meet. Those emails and instant messages are fine, but they won't help you learn everything about a person – or any qualities you might not like. Speaking to each other will help you both find out more information in a spontaneous way, so that you have a better idea of whether you want to continue the relationship. Just make sure you don't spend the next several months only talking on the phone – you have to meet if you really want a relationship. There's nothing worse than being stuck with someone for an hour or more, especially if you find out within the first 10 minutes that you aren't all that interested. Consider meeting for coffee so you can keep that first impression short – you'll learn enough to know whether you want a second, longer date.